Chris Hemsworth is an Australian actor. This biography profiles his childhood, family life, acting career, achievements and some interesting facts about the actor. 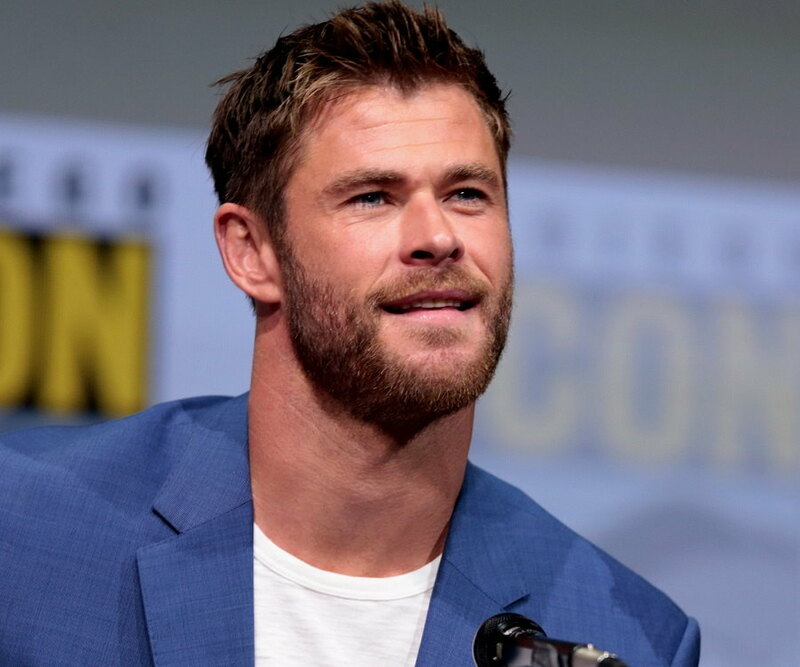 Chris Hemsworth is an Australian Actor best known for portraying the ‘Marvel Comics’ superhero, Thor, in the American flick ‘Thor’, a blockbuster that gave him international fame. While trying his luck in acting, he landed up with the role of Kim Hyde in the Australian drama series ‘Home and Away’. He essayed the character from 2004 to 2007 and made a mark. He was also one of the contestants of the Australian version of ‘Dancing with the Stars’. 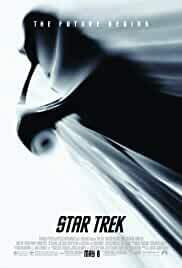 His film endeavours saw him essaying the role of George Kirk in the American science fiction adventure film ‘Star Trek’ (2009). He later gave voice over in the 12th installment in the Star Trek film franchise ‘Star Trek Into Darkness’ (2013). His big break came in 2011 with the super hit film ‘Thor’. The Australian heartthrob reprised the role of Thor, the crown prince of Asgard, in the sequel of the film, ‘Thor: The Dark World’ (2013) and also in ‘The Avengers’ (2012) and its sequel ‘Avengers: Age of Ultron’ (2015). Other remarkable films of Hemsworth include ‘A Perfect Getaway’, ‘Snow White and the Huntsman’, ‘Blackhat’, ‘Rush’ and ‘Vacation’. 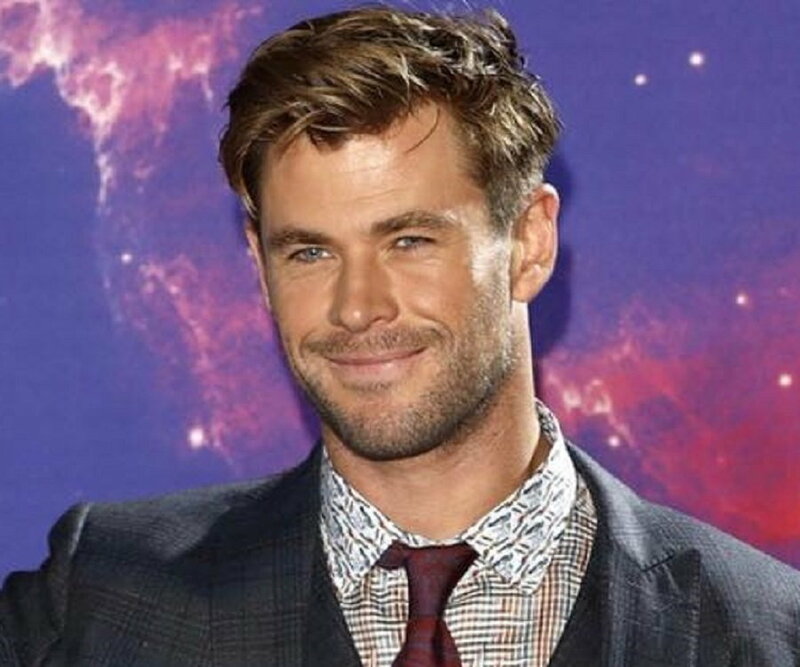 Chris Hemsworth was born on August 11, 1983, in Melbourne, Australia to Craig Hemsworth and Leonie (née van Os) as their second child among three sons. 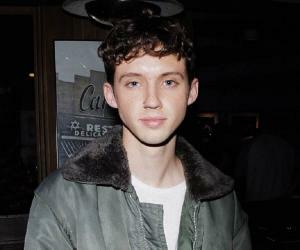 He has English, Irish, Scottish, and German ancestry. His father is a social-services counsellor while his mother is an English teacher. His parents raised him and his brothers in Melbourne and in the remote interior of Australia called Outback, in Northern Territory. He studied at the well-known coeducational government secondary college ‘Heathmont College’ in Heathmont, Victoria. After a few years, his family relocated to south-southeast of Melbourne, Victoria, in an island called Phillip Island. 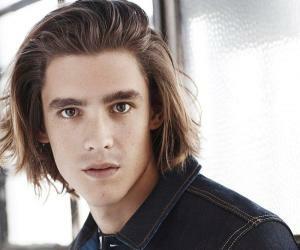 After college, he began doing bit roles in TV series including playing King Arthur in Canadian/Australian fantasy ‘Guinevere Jones’ (2002); as Jamie Kane in Australian series ‘Neighbours’ (2002); and as ‘The New Vet’ in Australian-Canadian children's series ‘The Saddle Club’ (2003) among others. He auditioned for the part of Robbie Hunter in the 2004 Australian TV drama series ‘Home and Away’ which finally went to actor Jason Smith. 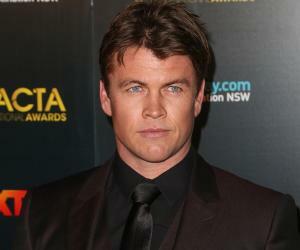 He was later called back to play the role of Kim Hyde which made him relocate to Sydney. His first on-screen appearance as Hyde happened on February 17, 2004 and he ended up playing the part for 3 ½ years till July 3, 2007, featuring in 185 episodes before leaving the show to concentrate on his film career. The role of Hyde gave him name, fame and recognition fetching him several award nominations. He won the ‘Most Popular New Male Talent’ award at the ‘Logie Awards’ in 2005. He participated in the Australian light entertainment reality show ‘Dancing with the Stars Australia’ in its fifth season that premiered on September 26, 2006. His partner in the show was professional dancer Abbey Ross. He was eliminated being sixth on November 7, 2006. Embarking into films, he essayed a bit role of George Kirk, in the 2009 released blockbuster American science fiction adventure ‘Star Trek’ directed by J. J. Abrams. It was followed by August 2009 thriller adventure ‘A Perfect Getaway’ where he played Kale. 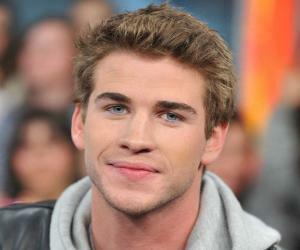 His first starring role came with the American independent crime-thriller flick ‘Ca$h’ that released in March 2010. Thereafter, he went on to prove his versatility playing varied roles with great oomph and style. 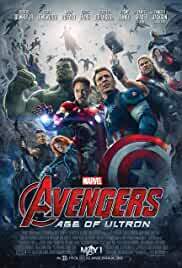 His real breakthrough in films came with the 2011 American superhero film ‘Thor’ based on the Marvel Comics character bearing the same title. He along with Tom Hiddleston auditioned for the role which ultimately went into his kitty while Hiddleston played the character of Loki. 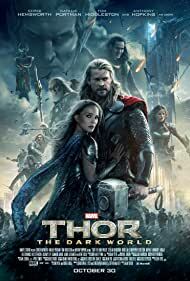 Hemsworth earned much international acclaim for essaying Thor for which he gained 20 pounds of muscle. The film emerged as the 15th highest-grossing flick of 2011 and earned him several nominations including the ‘Teen Choice Awards’ and ‘People's Choice Awards’. 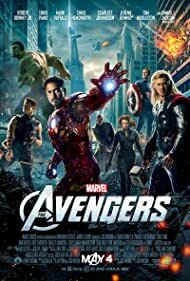 The 2012 American superhero film ‘The Avengers’ saw him reprising the iconic character of Thor. The film not only came out as the highest-grosser of the year but also peaked as the third highest-grosser worldwide. ‘The Avengers’ and the 2012 hit American dark fantasy film ‘Snow White and the Huntsman’ where he played the character of Eric, the Huntsman, fetched him a ‘Teen Choice Awards’ in the category of ‘Choice Summer Movie Star: Male’. He reprised the role of Eric in ‘The Huntsman: Winter's War’ (2016). 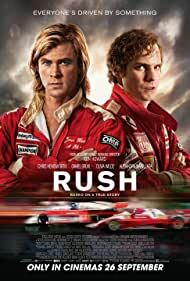 The year 2013 saw him reprising the role of Thor in ‘Thor: The Dark World’, sequel to 2011's ‘Thor’; giving voiceover as George Kirk in ‘Star Trek Into Darkness’, sequel to 2009’s ‘Star Trek’; and portraying real-life character of James Hunt, the 1976 Formula 1 World Champion, in sports drama film ‘Rush’. In 2014, the ‘People’ magazine tagged him that year’s "Sexiest Man Alive" in a yearly feature. In 2015, he played a convicted computer hacker, Nicholas Hathaway, in action thriller mystery film ‘Blackhat’; tickled the funny bones as Stone Crandall in the comedy flick ‘Vacation’; and played Owen Chase in adventure drama ‘In the Heart of the Sea’ apart from playing Thor in ‘Avengers: Age of Ultron’. He essayed the role of Kevin Beckman, the handsome but dumb secretary of Ghostbusters in the 3D supernatural comedy film ‘Ghostbusters’ that released in July 2016. The film won him ‘Favorite Movie Actor’ award at the ‘Kids' Choice Awards’ on March 11, 2017. 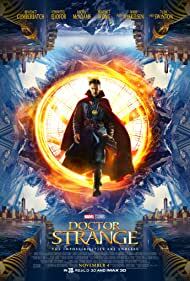 On November 4, 2016, American superhero film ‘Doctor Strange’ emerged as a blockbuster garnering critical acclaim. 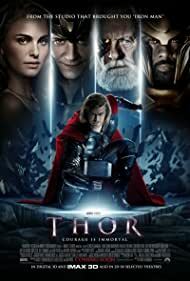 The film saw Hemsworth reprising the character of Thor in its mid-credits scene. 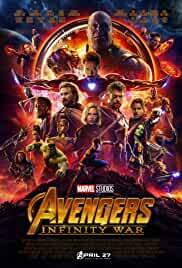 Upcoming films of this ace actor include ‘Thor: Ragnarok’, planned for a November 3, 2017, release in the US; ‘Avengers: Infinity War’, planned for a May 4, 2018, release in the US; an untitled Avengers film to be released in North America on May 3, 2019; and a war drama film ‘Horse Soldiers’. Early 2010 saw him dating Spanish actress Elsa Pataky and they married in December that year over the Christmas holidays. The couple is blessed with three children - a daughter, India Rose, who was born on May 11, 2012 and Sasha and Tristan, their twin sons who were born on March 18, 2014. He is a fan of the Australian football and backs Western Bulldogs. He remained a star of the 2014 ‘Everything's Possible’ campaign of Australian Football League. He relocated with his family to Byron Bay, New South Wales, Australia, his native country from Los Angeles, US in 2015. He is closely associated with ‘The Australian Childhood Foundation’ and supports children facing neglect and abuse. He is a dedicated supporter of such cause and spends both time and money in protecting children from such quandary.